My TCMFF pass for 2019! ♪ It’s the most wonderful time of the year! ♪ No, not Christmas, the 10th Annual TCM Classic Film Festival, which I’ll be flying out to Hollywood to attend in less than three weeks! 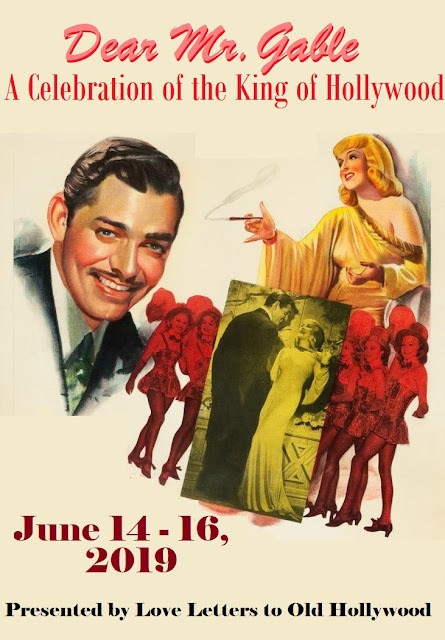 As I mentioned just before last year’s festival, I never expected that I’d be lucky enough to attend the most amazing Old Hollywood event in the world. It’s been something I’ve dreamed about since the festival’s inception in 2010, and last year was more incredible than I could have ever imagined. I was surrounded by people who feel the same way I do about the pictures and stars from yesteryear, and I saw dozens of movies on the big screen that I know I’ll never get the chance to see again. Words can’t describe how wonderful and fortunate I feel about experiencing all of that magic firsthand for the second year in a row! Last year, I attended my very first TCMFF with my grandparents. It was a once-in-a-lifetime adventure, but this year will be entirely different as I’ll be accompanied by my awesome older sister! She just adores Los Angeles and many of the stars from Hollywood’s Golden Age, so it’ll be tons of fun to check out the nightlife and exciting parties this time around from dusk until dawn on top of the movies. Over the last year, we’ve planned our outfits and purchased our flights, hotel, and passes, so the only thing left to do is choose what films we’ll see! Much to my delight, TCM released the full festival schedule Tuesday, and after obsessing over it for hours on end, we have our tentative picks! Westwood Memorial Park, easily one of the loveliest and most star-studded cemeteries in the world. This year, we’ll both be flying into LAX on the morning of April 10th. Once we meet up, we plan to drop off our bags at our hotel, The Hollywood Orchid Suites, which is the closest either of us have ever stayed to Hollywood Boulevard and the festival! From there we plan to have lunch at the nearby cult classic In-N-Out Burger before buying some flowers for our first bit of sightseeing: Westwood Memorial Park in Beverly Hills. Visiting the graves of our favorite classic movie stars is something that my sister and I both love to do, and I decided, after visiting the likes of Debbie Reynolds, Gene Autry, and Dorothy Lamour last year at Forest Lawn Hollywood Hills, that it would be a great idea to make paying my respects to some beloved actors and actresses one of my TCM Classic Film Festival traditions. We chose Westwood in particular because the two of us first visited the cemetery over ten years ago, early into our appreciation of classic film, and we wanted to go back and leave flowers for some of the celebrities we still admire today. There are also many who we adore now but weren’t aware of ten years ago, like Richard Conte, Dorothy Stratten, and Richard Dawson, and some who have passed away since, such as my sister’s favorite author Ray Bradbury, as well as one of our favorite actors, Louis Jourdan, Mary Carlisle, and Zsa Zsa Gabor. Last year I wrote an emotional tribute to Natalie Wood for her 80th birthday, chronicling my visit to her final resting place when I last entered Westwood, and I fully intend to see her once again. It might be a tradition for fans to plant a red lipstick kiss on the crypt of Marilyn Monroe, but now that Dean Martin has become one of the apples of my eye, I hope to break the tradition and kiss his instead. The grand bar of The Millennium Biltmore Hotel, where we’ll be spending our evening and toasting to the upcoming fest! After that, we’ll be spending the afternoon window shopping (or maybe even doing some real shopping if our wallets allow it) on Rodeo Drive, which I’ve never been to before. After checking in back at the hotel, we’ll be having dinner at Pig n’ Whistle by the Egyptian Theatre, where we’ll be trying some of the glamorous cocktails named after stars who would frequent the restaurant after their movie premieres like Roy Rogers, Jack Lemmon, and Jane Wyman. We’ll be trying to visit the nearby Dearly Departed Museum, which houses a world of dark Hollywood history, including the remains of Jayne Mansfield’s car and some new personal items from the estate of Sharon Tate. By the time we finish dinner it will likely be close to the museum’s closing time, but we have an even more exciting backup plan if we don’t get in, as we’ll be making our way to the Milennium Biltmore Hotel. As glorious as the hotel is by itself, my sister is an avid true crime fan, and the establishment has gained fame for being the last place that Elizabeth Short, victim of the infamous Black Dahlia case, was seen alive. The hotel bar has a drink named after her too, and we hope to take in the atmosphere, make a toast to her and to the festival, and wish that the Biltmore was just a little bit closer to the festival so we could stay there. It might be a late first night in LA, but it’ll be worth it, and we’ll still make sure to get a decent amount of shut-eye for our first day at the festival. Arlene Dahl and Hedy Lamarr looking over the menu of The Polo Lounge at The Beverly Hills Hotel, c. 1952. I wish I knew what these ladies were ordering! As many of you who have attended the festival know, the first films don’t actually begin until the evening of the first day. So, how will we be spending our time during the morning and afternoon? Well, my sister and I usually live apart, and since we won’t be together for her birthday in June, I decided well in advance that we would ring in the revelry with breakfast at the famous Polo Lounge in The Beverly Hills Hotel. I’ve searched high and low, but it seems that The Polo Lounge isn’t very forthcoming with the specifics about where classic movie stars used to sit while there and what they used to eat or drink. I’d love to try something on the menu that’s specifically connected to an actor or actress that I admire, so if any readers are aware of any Old Hollywood food history connected with this iconic eatery, please let me know! Either way, I’m sure we’ll share some lavish dishes. Next we’ll be participating in an event that was recently added to our schedule: Karie Bible’s walking tour of Hollywood Forever Cemetery! Yes, this will be our second cemetery of the trip, but while I’ve visited stars such as Tyrone Power, Rudolph Valentino, and Douglas Fairbanks, my sister still has never been to Hollywood Forever. There are also new additions like Mickey Rooney and Judy Garland that I’ll be over the moon to see, and I’ve heard such wonderful things about this tour that I just can’t help but want to check it out for myself! Depending on whether we take the early morning or afternoon tour, we’ll likely be stopping by Pink’s Hot Dogs as well, where I hope to continue another tradition: ordering The Brando Dog with Cheesy Guacamole Fries and an old-fashioned glass bottle of Coke. After that, it’ll be time for our first movie! To me, the first decision this year is by far the hardest. When Harry Met Sally (1989) is off the table because we only have Classic passes, but the remaining choices are still maddening. First we have Gentlemen Prefer Blondes (1953) at The Egyptian Theatre, one of my favorite movies to watch with my sister and one that we’ve enjoyed since we were teenagers. There’s also Dark Passage (1947) at Chinese Multiplex House 1, my favorite Bogie and Bacall film which has some sublime first-person cinematography that I’d adore seeing in a theater, and the possibility of being introduced by my favorite TCM host, Eddie Muller. Another choice is Night World (1932) at Chinese Multiplex House 6, an intriguing pre-code introduced by Boris Karloff’s daughter Sara, who I was disappointed to miss at last year’s festival. Finally, there’s a poolside screening of Ocean’s 11 (1960) with Angie Dickinson. I didn’t get to attend any of the poolside screenings last year, and it would be my first (and possibly my only) chance to see my aforementioned crush Dean Martin on the big screen, but the placement of the movie would mean that we wouldn’t be able to see anything afterward. Lobby card for Night World (1932), the front-runner for my first movie of the festival. My head is telling me to see Night World (1932) because my first picture of last year’s festival was a pre-code and ended up being my favorite of them all, and I’ll probably never get a third opportunity to see Sara Karloff. Still, my heart is pulling me in all directions and I know I’ll regret not seeing any of the other three, especially if none of my other picks during the festival are introduced by Eddie. I have a tentative choice, but the jury’s still out. For the last feature of the night, provided I don’t change my mind and see Ocean’s 11 (1960), I hope to head over to The Egyptian Theatre to watch my first ever nitrate screening, The Bachelor and the Bobby-Soxer (1947). The truth of the matter is that I’m not head-over-heels in love with any of the nighttime options, but this film is delightful and I’ve been desperately curious to see any movie in nitrate. I missed out on all of last year’s nitrate screenings and spent months afterward kicking myself over it, as I’ve heard that the term “silver screen” comes from the glitter of nitrate and that these versions of classic cinema are more magnificent than any other. My anticipation is high for this one, but I’m not terribly confident that I’ll be able to get in with an hour at most to trek down the street for the screening. Here’s hoping! 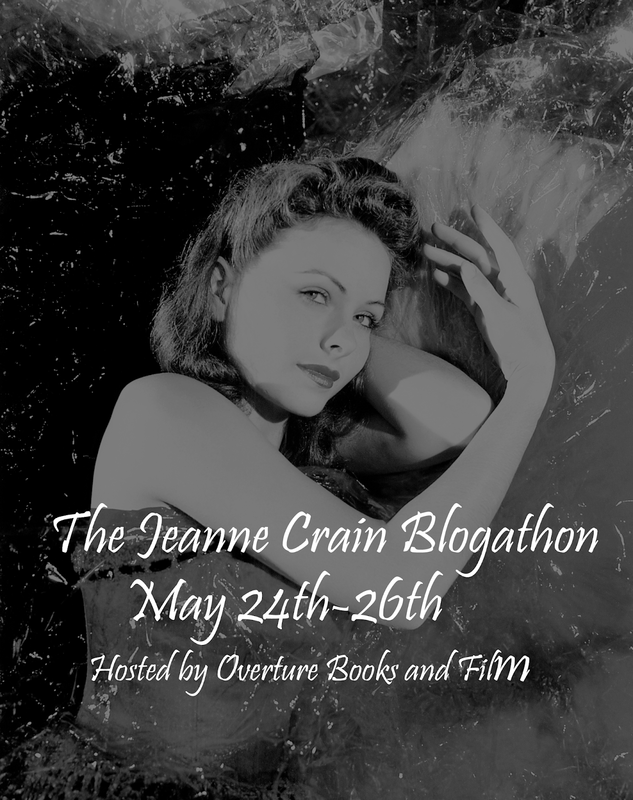 Like the Oscar, I have the feeling that Grace Kelly will win out and I’ll see High Society (1956) at the Legion Theater instead of The Clock (1945) with Judy Garland. The first round of screenings on Friday morning are also impossible to decide between, though not quite as impossible as the evening before. Our choices are The Postman Always Rings Twice (1946) at The Egyptian, one of my favorite noirs that I’ve seen a million times, Merrily We Go to Hell (1932) at Chinese Multiplex House 1, another pre-code that I’ve heard wonderful things about with Sylvia Sydney, who I’ve never seen onscreen, The Clock (1945) at Chinese Multiplex House 6, one of Judy Garland’s lesser-known works that I’ve been dying to see, and High Society (1956) at The Legion Theater Post 43, the festival’s newest venue, which I’ve never seen in a theater and is literally ranked among my top favorite films of all time. It’s unbelievably tough to choose between the latter two pictures, but I know that The Clock (1945) is the right decision, even though I can’t imagine missing out on seeing a film I adore so much with an audience who feels the same way. We never know, and there’s still the possibility that my heart will win out and High Society (1956) will reign supreme. The next feature on our program was probably the easiest to choose. I won’t even bother going through the options, as we’ll definitely be seeing Disney’s Sleeping Beauty (1959) at The Egyptian Theatre. It’s been years since a Disney feature film has been offered at the festival, and my sister and I have never seen one of the classic Disney pictures that we love so much in a theater despite watching them at home growing up. Sleeping Beauty (1959) in particular is one that we have always marveled at for its wonderful animation, especially the highly detailed background work and vivid color, and since it’s also being introduced by the legendary Jane Bauer and Floyd Norman, two of the original animators on the film, as well as Mindy Johnson, author of Ink & Paint: The Women of Walt Disney’s Animation (2017), this is a screening that’s impossible for us to pass up. Janet Gaynor in what’s considered the finest silent feature of all time? Count me in for Sunrise: A Song of Two Humans (1927)! Next is another fairly easy choice, as I really only struggled between seeing Sunrise: A Song of Two Humans (1927) at Chinese Multiplex House 1 or seeing A Patch of Blue (1965) at Chinese Multiplex House 6. On one hand, A Patch of Blue (1965) is my favorite picture of my most beloved living actor, Sidney Poitier. If you haven’t seen it, I would certainly recommend checking it out above all else, but Sunrise: A Song of Two Humans (1927) ultimately won out for a variety of reasons. For one thing, it’s a movie that I haven’t seen and is considered by many to be the greatest silent film ever made. While it may be tough to give up seeing Sidney Poitier and Elizabeth Hartman’s tender onscreen chemistry, I’ve also been gaining a ton of appreciation for Janet Gaynor, as I’ve been doing research lately about her time in her hometown of Philadelphia. I know that her talent, charm, and her own onscreen chemistry with real-life leading man Charles Farrell will make Sunrise (1927) a movie that I’ll always remember. Watching Sunrise (1927) only leaves us with about forty-five minutes to get downstairs and get in line for Steel Magnolias (1989) at the TCL Chinese Theatre IMAX, but we’re certainly going to try our best to see it! In all honesty, this movie is a lot more modern than what I usually choose to watch. I really hoped that Shirley MacLaine would be able to introduce one of her earlier features during the festival as well, like What A Way to Go! (1964), The Apartment (1960), or The Children’s Hour (1961), but unfortunately this will be my only chance to see one of my favorite living actresses and I’m certainly going to take it. For such a major motion picture paired with such a major guest, I can never be sure that forty-five minutes will be enough time to get entry into the theater, but the IMAX is the largest at 916 seats, so I’m feeling confident about it. If we don’t get in, we get an opportunity to sit down for an actual meal, which I would never complain about! A very impressive lobby card for Winchester ’73 (1950), one of the most impressive westerns that I’ve ever seen. Whether we get the chance to see Steel Magnolias (1989) or not, we’ll be left with a comfortable hour-and-a-half to get in line for one of the final screenings of the day. I’m not terribly picky about which movie we’ll see, but I’m definitely leaning towards Winchester ’73 (1950) at Chinese Multiplex House 1. It’s a surprising choice for someone like me, who usually goes for romance and musicals, but this Anthony Mann-helmed western starring James Stewart is easily one of the best of the genre and I admired it immensely the first time that I watched it on TCM. My sister usually isn’t a western fan, but when I described the plot of Winchester ’73 (1950) to her during our schedule deliberation, she told me that I sold her on it too! This will be my first western that I’ve ever seen at the festival, and I’ve heard that screenings of this genre in particular are a lot of fun, so I really look forward to closing out the day with this classic. Original theatrical poster for A Woman Under the Influence (1974), the screening that I’m looking forward to the most during the festival. This is the day of the festival where my own schedule diverges from my sister’s. While she cannot miss From Here to Eternity (1953) at the TCL Chinese Theatre IMAX (and I don’t blame her), I’ll be heading over to The Egyptian. If I’m feeling really confident, I might just see Double Wedding (1937), but most likely I’ll just get in line three-and-a-half hours early for my most anticipated screening of the festival, A Woman Under the Influence (1974), attended by the star herself, living legend and hero of mine Gena Rowlands. Last year, when I was sharing part of my autograph collection, I wrote about how deeply her performance in this film affected me, so much so that I couldn’t even finish it because I became too emotional. This time around, I intend to remedy that and watch her profound portrayal of Mabel Longhetti from beginning to end, and hopefully I’ll be able to thank her in person for her kindness and inspiration. I’ll be sticking around The Egyptian for A Raisin in the Sun (1961), paired with an introduction by Louis Gossett, Jr. and Donald Bogle. I have to admit that I’m not entirely familiar with Gossett’s work, but I did watch his appearance as a guest programmer on TCM and I really enjoyed his movie choices and his insight. On top of that, I also had the privilege of seeing Bogle interview Nancy Kwan at last year’s festival preceding a screening of The World of Suzie Wong (1962). It turned out to be one of my favorite movies that I discovered during my first festival, and I really admire the way that Bogle shines the spotlight on actors and actresses of color and asks them the right questions. Even without what promises to be an exceptional opening to this important feature, I couldn’t be more thrilled to watch A Raisin in the Sun (1961) for the first time, and I’m so glad that I’m able to watch something else starring the incomparable Sidney Poitier after not being able to see A Patch of Blue (1965). My sister unfortunately won’t be able to attend any screenings between From Here to Eternity (1953) and the much-awaited Nashville (1975) at Chinese Multiplex House 1 with Jeff Goldblum, one of her most beloved actors, so for the late afternoon I’m going to try to find another screening to check out. Even if I wanted to see Nashville (1975), I’m not enough of a Goldblum fan to take a seat from someone who is. On one hand, I could try to get into Butch Cassidy and the Sundance Kid (1969) at the TCL Chinese Theatre IMAX, which will be easier due to the large number of seats. On the other hand, I could take my chances with Wuthering Heights (1939) at The Legion Theater Post 43, which, despite my low chances of getting in with only half an hour between screenings, seems to be the more attractive option. Not only is it going to be introduced by the marvelous Alex Trebek, it’s also the choice of my Ticklish Business co-host, Kristen Lopez, so any chance to see a movie with a friend is something I’d like to try for. A very racy theatrical poster for Samson and Delilah (1949). I wonder if Hedy actually wears anything that revealing in the film! For the last showing of the day, my sister will be joining me for Samson and Delilah (1949) back at The Egyptian Theatre. There are just too many amazing aspects of this biblical epic to pass up. For one thing, I’ve heard marvelous things about this nitrate print, and for another, it’s going to be introduced by the leading man’s daughter, Victoria Mature, alongside historian Alan K. Rode. Besides, any picture this grand that promises to show off Hedy Lamarr and Angela Lansbury in glittering nitrate and glorious Technicolor is something that I absolutely have to see for myself. It seems absolutely ridiculous as far as the actual story and special effects go, but I’m eager to see Lamarr’s most successful box office feature, discover Victor Mature in one of his standout performances, and check out Lansbury in one of her earliest roles. Peter Lorre in a scene from Mad Love (1935). I can’t wait to hear what Bill Hader has to say about this thriller! Similarly to last year, I’m not terribly impressed with Sunday’s offerings, especially in the afternoon. As always, the films that I actually see on the last day all depend on what the TBA screenings are, but I know for a fact that my sister and I will be heading over to The Egyptian Theatre once again for another one of our most anticipated screenings, Mad Love (1935) with special guest Bill Hader. I absolutely adore Bill Hader in everything from Saturday Night Live to Documentary Now, and I admire his interest in classic cinema even more, so I couldn’t be more thrilled that he’ll be discussing one of Peter Lorre’s most promising performances. When I first heard about this exciting event, I was almost certain that it was going to be one of the midnight screenings (Lorre? Cult classic sci-fi? Bill Hader? It all adds up! ), but I’m just as eager to see Mad Love (1935) first thing in the morning on the final day of the festival. After that, my sister really wants to see the Entertainment Memorabilia Exhibit and Appraisals from Bonham’s. I attended last year’s appraisals and personally found it to be a lot more lackluster than I expected, but since she seems so eager to check it out, I’ll definitely tag along and see what items people bring in. It seems that everything conflicts with the movie that I want to see next, Magnificent Obsession (1954) at Chinese Multiplex House 1. 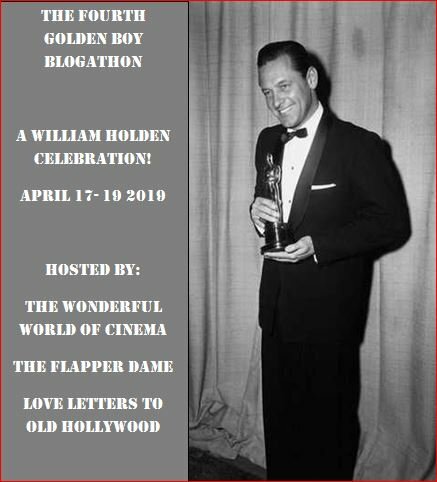 As much as I adore him, I’ve never seen this iconic Rock Hudson feature, but unfortunately (or fortunately, depending on how you look at it) TCM Backlot is hosting a meetup at the Hollywood Roosevelt that begins fifteen minutes before Magnificent Obsession (1954) ends. I may have to arrive to the event a little late, but that prospect worries me because I missed last year’s meetup due to Grand Prix (1966) and Eva Marie Saint’s interview running late. As I’m now President of the TCM Backlot Philadelphia Chapter, I think being late is something that I wouldn’t look forward to, so Rock may have to get the boot from my schedule depending on how I feel. Betty Grable and June Haver getting dolled up on the set of The Dolly Sisters (1945). It’ll be so special to end the festival by watching this movie with my own sister! As I mentioned before, the rest of the afternoon doesn’t hold a lot of promise for me. If it were up to me and I had to fill every slot with a film, I’d probably check out Cold Turkey (1971) at The Legion Theater Post 43 and follow it with A Woman of Affairs (1928) at The Egyptian Theatre, but might not even attend either of these and do some sightseeing with my sister instead. Aside from Mad Love (1935), the only thing I know we’ll be seeing for certain on Sunday is our last nitrate screening and our final picture of the fest, The Dolly Sisters (1945). I’ve never seen this gem in Betty Grable’s filmography, but I find it especially fitting that I’ll be ending my time in Hollywood with my sister with a movie about sisters, and vivid, stunning musicals like this are always high on my list. I hope you’ve all enjoyed reading all about my picks, and if you’re attending the fest, I hope to see you at a couple of screenings! 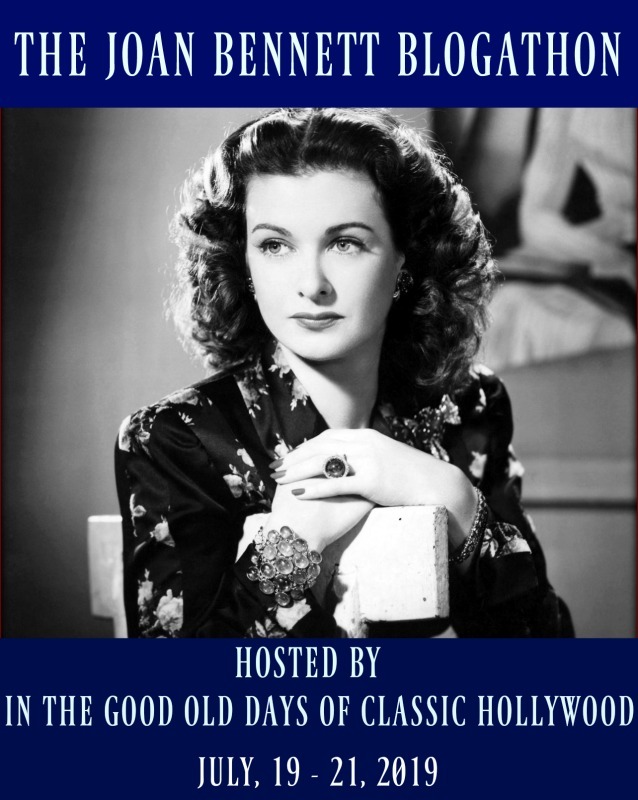 If you’re interested in meeting up with me this year, leave a comment and I’ll get in touch with you, because I can always use some more Old Hollywood friends! Let’s movie! I feel so bad for you. It must have been torture to pick between The Clock, Merrily We Go to Hell, and High Society. I would have probably have picked The Clock though too, even though I love all three films! I hope you write a post about your time there. I think it would be an interesting read. And be sure to say hello to Natalie, Lew, and Dorothy for me. It was definitely tough! I’m still on the fence about it, really. I intended to write about last year’s fest but my phone went out on me that had nearly all of my pictures, so I didn’t see the point. If nothing like that happens again then I’ll definitely be covering the fest! Of course I’ll say hi, I can’t wait to see them all! You’re so well-organized haha! But oh my, some of these decisions are soooo difficult. I hope we’ll see each other! Me too! We should definitely catch a screening together if we have something in common! in May at the magnificent Castro Theatre (where Noir City follows the same programming format). The only choices you have to make are whether to see six shows a day with no competing screenings or to get outside and visit the many movie sites here.Just come a few days early and get it all in. The Vertigo and Film Noir tours, Disney Family Museum, Niles Silent Movie Museum, grand old hotels and many movie palaces, especially the art Deco Paramount in Oakland where there are tours..